Eco-tourism is a key part of the tourism strategy of VisitBrighton, the official tourism body for the city that promotes the destination to both leisure and business visitors nationally and internationally. Each year Brighton & Hove welcomes around 11.5 million visitors (1.6 million of whom stay overnight) – tourism is big business here, generating £886 million for the local economy and supporting 21,500 jobs in the city. When eco-tourism was first being discussed here several years ago, there was a concern that we could end up alienating people by being too political or worthy about sustainability. When people are planning a short break they are looking to relax & have fun after all! However such initial concerns were quickly discarded. Eco-tourism is not about preaching to people and telling them what they can or can’t do, rather it is about inspiring them by linking with conservation, communities, interpretation and education whilst they enjoy their holiday. We encourage our visitors to be responsible travellers regardless of whether they are engaged in eco-tourism however, such as using public transport to get to Brighton and making sure to take their litter with them after having a day at the beach. They can also take a reusable coffee cup with them whilst visiting one of our fabulous cafés – and it will soon be possible to purchase ‘Save Madeira Terrace’ branded cups! Our main goal is always to encourage visitors to stay for longer – converting a day trip into a short break, or a break into a longer holiday. The Living Coast is an important part of our eco-tourism messaging: people can use Brighton as a base to stay longer while they explore the wider area of our ‘world-class environment’. We always encourage people to use public transport to get out into the countryside, for example the fantastic Breeze up to the Downs buses or even by hiring a bike. Aside from the obvious benefit of being more environmentally friendly, buses and bikes also give visitors the chance to enjoy the journey and the destinations at a relaxed pace. Two key aspects of our tourism brand identity are Culture & Wellness. The Living Coast fits in with both of these strands, whether you head over to Ditchling for a night of opera at the picturesque Court Garden vineyard, or escape the city and go for a walk over Devil’s Dyke for example. Increasingly visitors are moving away from the idea of being a traditional tourist, and prefer to think of themselves instead as travellers. Tourist or Traveller? - what’s the difference? Tourists are perceived as simply going to a place to tick attractions off from their bucket list, whereas travellers want to experience a destination. Rather than being given a list of things to do, travellers want experiences that will enable them to immerse themselves and see the ‘real’ city and its surrounds. 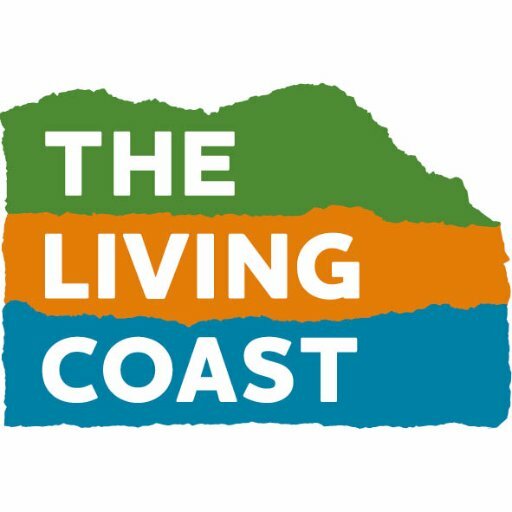 The idea of being a traveller rather than a tourist ties in with The Living Coast’s mission to connect people & nature. For example you could go foraging for mushrooms or even take a llama for a walk! It’s not just about getting out into the countryside though as The Living Coast includes the city of Brighton & Hove itself, giving us opportunities to encourage visitors to see the city in a different way. For example instead of heading straight for the beach why not visit some of The Living Coast’s ‘Top Spots’ such as Preston Park, home to the Preston Elms believed to be the two largest English Elm trees in the world? Naturally countryside walks are a great way to improve your sense of wellbeing, but so is a seafront stroll along the Undercliff Walk from Brighton Marina to Saltdean. Along the way you can stop off at Rottingdean beach which is an ideal spot for rock-pooling and crabbing too! Naturally visitors will always want to see the major attractions – and of course we don’t want to change that! But working with The Living Coast means we can encourage visitors to stay longer in order to see and do more things in addition to the traditional tourist things. One of the city’s newest attractions – British Airways i360 – offers the perfect opportunity to get this message across. From 138 metres in the air you can clearly see the sea, the city and the countryside, instantly demonstrating to visitors that there is a lot more for them to see and explore – far too much to do in just one day! Take a look at the VisitBrighton website for much more information and inspiration for visitors, and residents too!